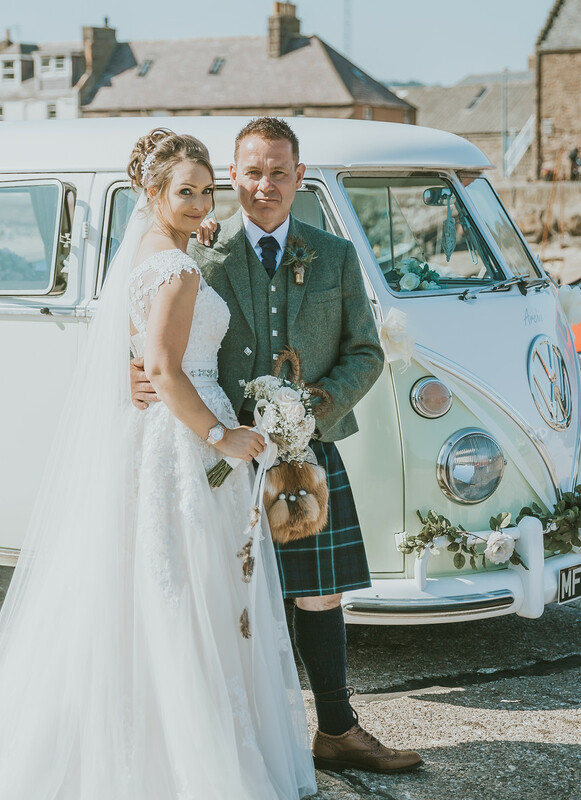 Laura sent us her beautiful professional wedding photographs of her and David’s special day with ARCHIE VW. 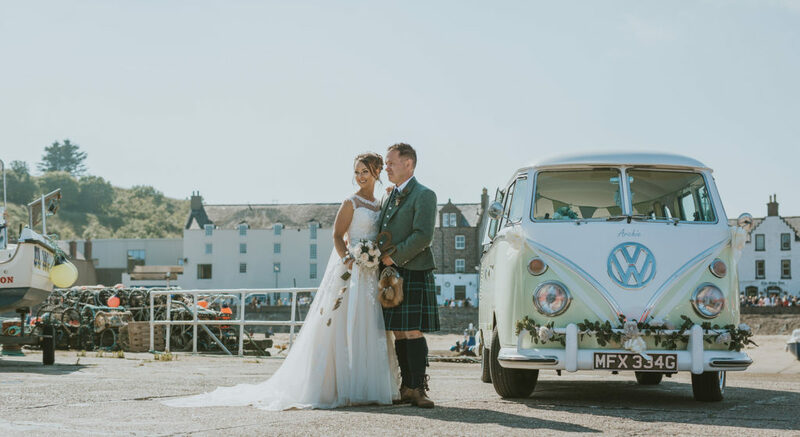 They got married in July 2018 in Stonehaven and had their special “Champer Drive” along Stonehaven Harbour! 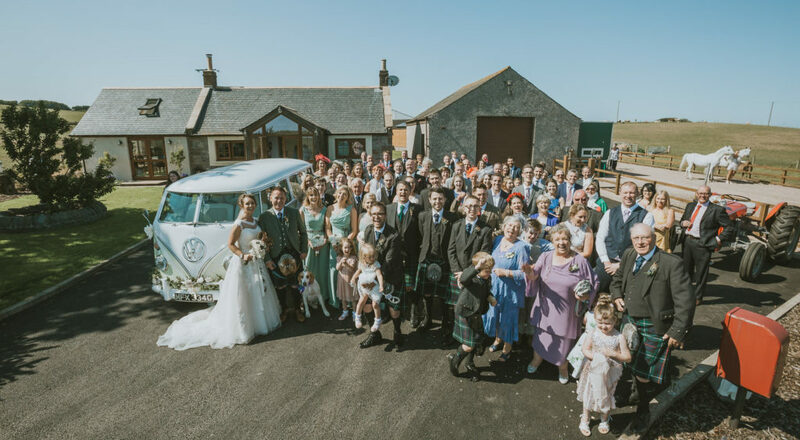 The sun shone for the couple and all their family and friends had a great time too. 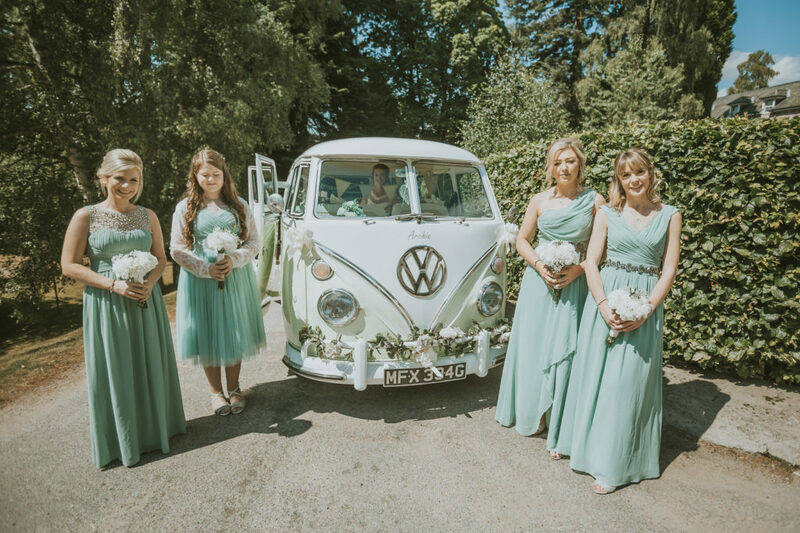 Her bridesmaids looked stunning in complimentary green dresses! 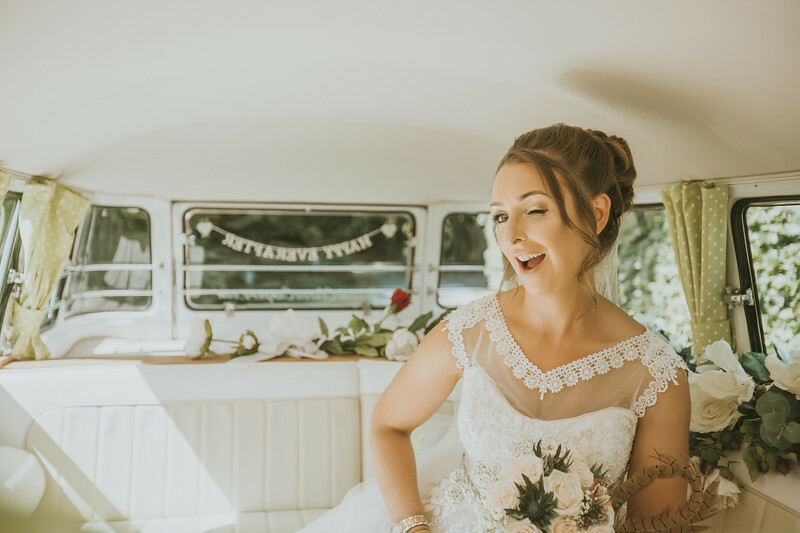 Laura shares my passion for horses, and as they are part of the family, they attended the special day too! 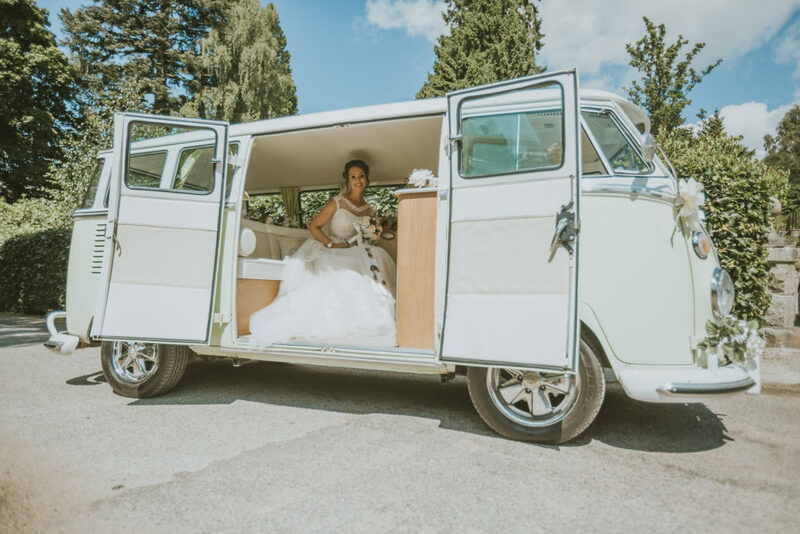 We wish you both every happiness for the future!